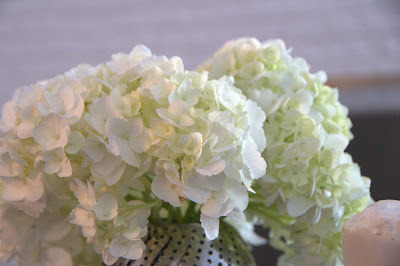 I'm enchanted with the colors one can see in white walls and white flowers as the light of the day changes. Go to Faded Charm to participate in White Wednesday. Beautiful immages of white today! Lovely whites and beautiful pictures. Happy white Wednesday. come and visit. Hi I am new to White Wednesday and new to your blog as well. I too live in a bungalow. I will never grow tired of it. Yours is beautiful. Enchanted what a lovely discription. I love it. Your post is lovely. Thanks for sharing. I'll be back to stay awhile. Always interested in other Texas girls and thier lovely homes. And meeting new neighbors. As a lover of white, this post is fabulous! White is filled with promise, isn't it? Like a blank slate. Another white lover here (why do I feel that comment is messed up to a degree even beyond my imagination? Anyway, I hope you know what I mean). Annie, I own white pottery, linens, furniture and if I were brave enough to paint my floors, they'd be white as well. White is always a great color.